Add known unused animations/enemy and investigate other remnants. 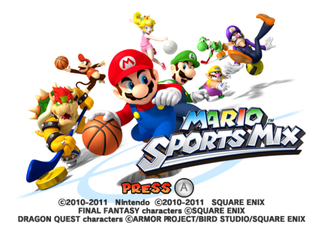 Mario Sports Mix is a game about playing real sports games instead of video games, in a video game. Because of the difference between British English and American English, the English translation for the PAL versions of the game is slightly different from the North American version. For example, The All-around type is called All-rounder in the PAL version of the game. This page was last modified on 17 May 2018, at 14:58.